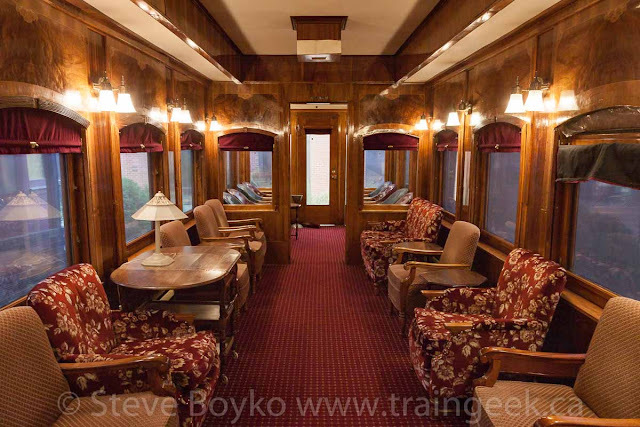 The town of Cranbrook, British Columbia has one of the most important railway museums in Canada - the Canadian Museum of Rail Travel. 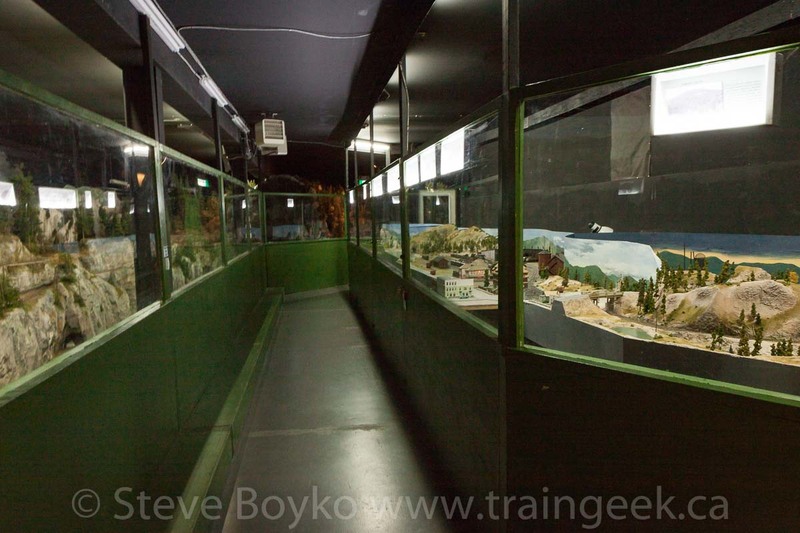 This museum focuses on passenger travel by rail, and features several passenger train sets. This makes the museum unique - its laser-like focus on passenger rail travel. 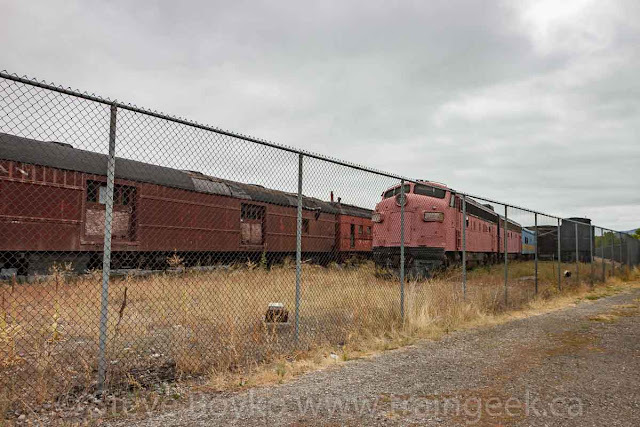 No random collections of CN and CP freight cars, passenger cars and locomotives here. Visiting the museum is a little different than other museums. You can't wander around on your own here. Pay close attention to their schedule when planning your visit! A few notes about the tours. Once you start a tour, you can't stop. You can leave between segments, if you booked several tours, but you can't leave in the middle of the train. There aren't any bathrooms on the trains, so take care of that before the tour! Of course, there's no smoking permitted on the tours, and no food and drink can be brought into the trains. These cars are immaculate so they want to keep them that way. We, OK, I elected to take the Grand Tour to see everything in one shot. 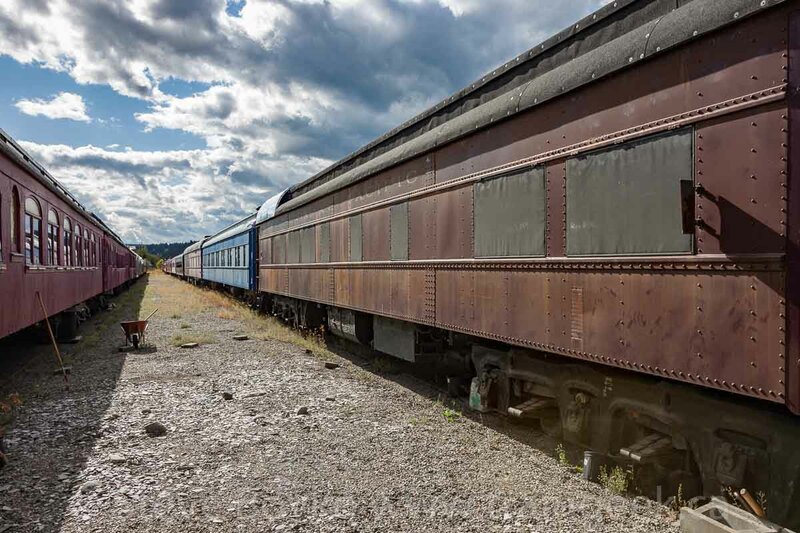 Our guide met the group of us and gave us a quick introduction in the baggage car before we started going through the cars. As we entered each car, the guide went ahead and waited for the group to fill in. There was adequate time to snap a photo or two on entry, and of course you can take photos while the guide is talking. Our guide was extremely knowledgeable about each car and provided a lot of interesting information without being boring. My wife, a non-railfan, was interested and said she enjoyed the visit. The pace was good - a few minutes in each section of each car - so you kept moving, but I never felt rushed. The cars are gorgeous inside. 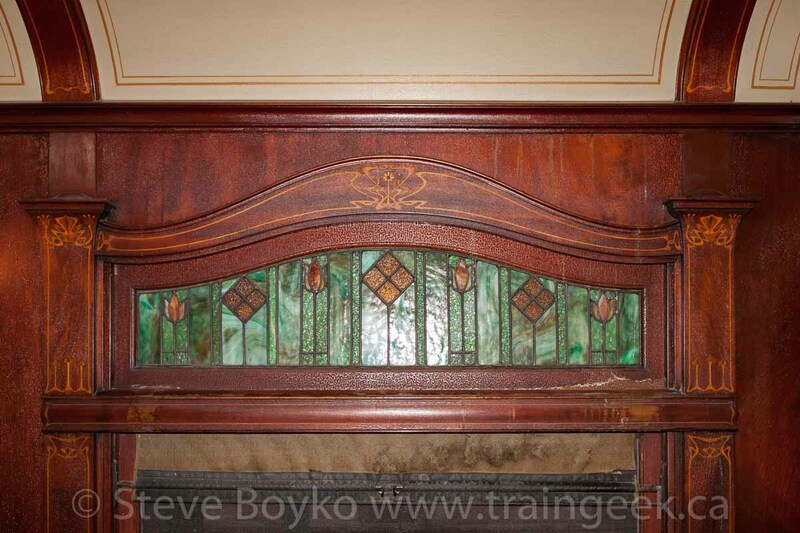 They have restored as much of the original wood, brass, stained glass, seats, and other fittings as they could. 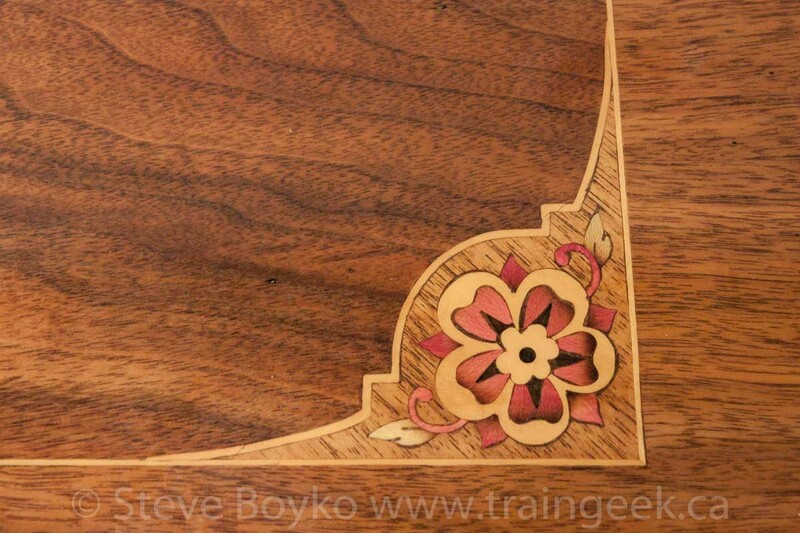 Some of the wood work is simply outstanding and the museum has gone to a lot of trouble and expense to restore it. I found the 1929 Trans-Canada Limited train set to be the most interesting. Canadian Pacific Railway operated the summer-only Trans-Canada Limited from 1919 to 1930. 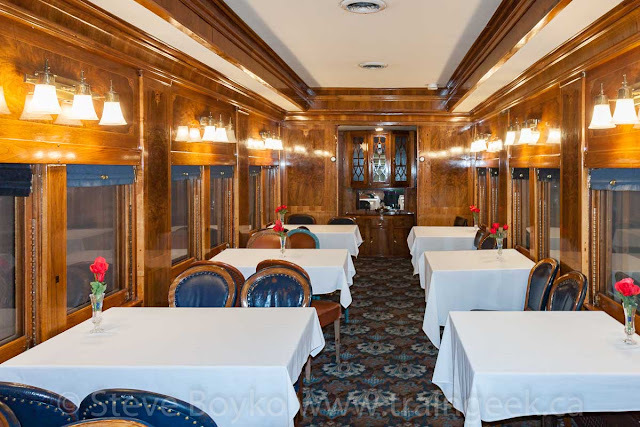 This train was the premiere train on the CPR, with sleeper-only service and the highest quality of food, service and rail cars. No coach passengers here! The CPR had new cars built for the Trans-Canada Limited, and its Soo Line sister the Mountaineer, in time for the 1929 season. Unfortunately, the American stock market crashed in October 1929 and patronage quickly dried up in the 1930 season. 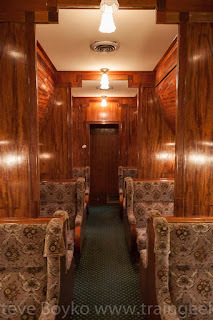 The CPR cancelled the Trans-Canada Limited before the start of the 1931 season. 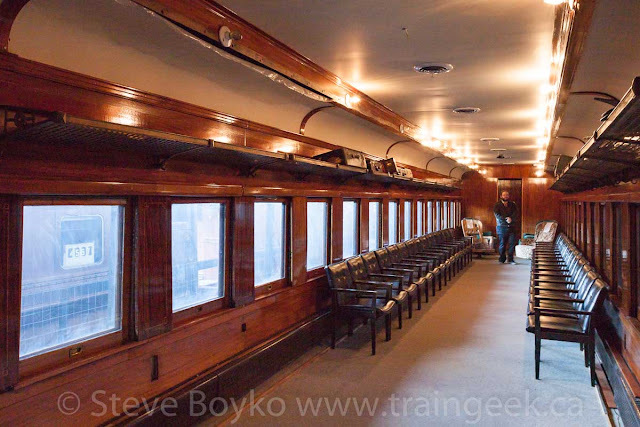 The museum has a complete seven-car set originally built for the Trans-Canada Limited, which is quite a feat. The solarium car was spectacular. If I recall correctly, the big windows have special glass to let the ultraviolet rays in because they believed that was healthy. One thing you'll notice from the outside is that the cars don't look like much. 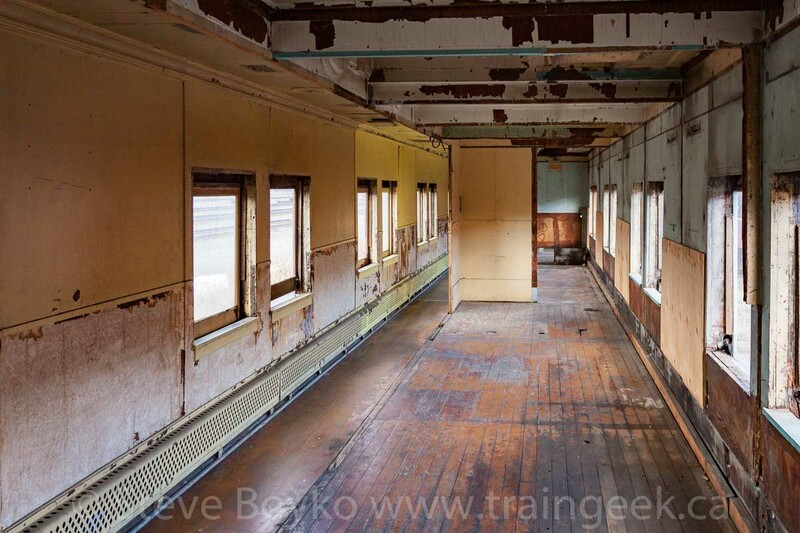 Unlike other railway museums where the exterior receives a lot of attention, the focus here is on the interior. The exteriors are pretty plain and in some cases, maybe a little shabby. Don't let that fool you! The interiors are what count in this museum. Some of the cars are still undergoing work. Check out this car that has been stripped down and is ready to be rebuilt. 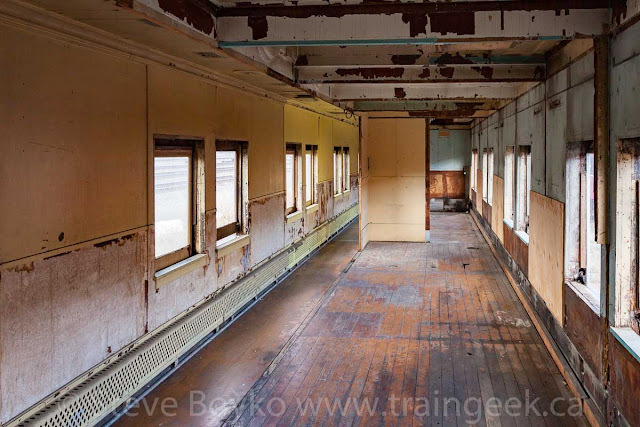 Many of these passenger cars were converted into maintenance-of-way service for the railway. Out of service passenger cars became bunk cars, or kitchen cars, or tool cars. 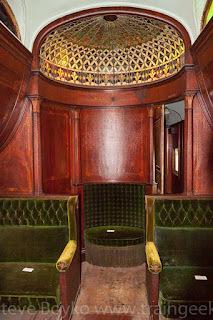 At best they received layers of paint on top of the beautiful wood work, and at worst the cars were completely reworked inside. One car that caught my eye was an Intercolonial Railway car, built in 1890 as ICR 736, a baggage car. 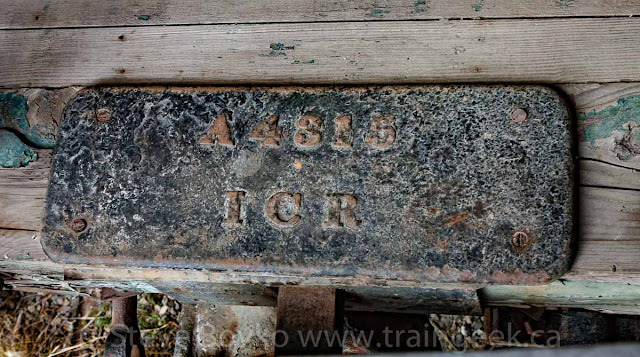 This car is not open to the public but I spotted this ICR plaque on the end platform. You can just see the link and pin coupler at the bottom of the photo. 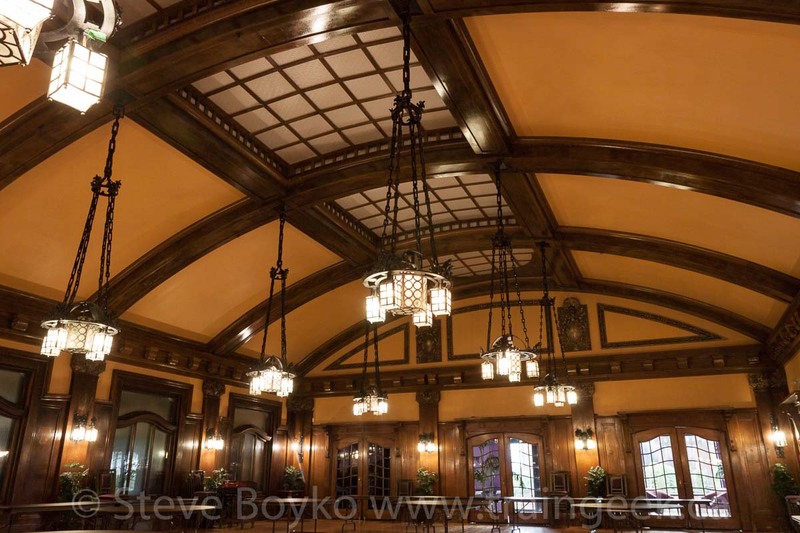 However, before the demolition, the interior of the dining room was carefully disassembled and removed. It was transported to Cranbrook and reassembled there in the museum, where it can be viewed now. I believe it can be rented for functions. There are a couple of other attractions in the same building - the Cranbrook History Centre - as the museum: a gift shop, a model train layout, and the Cranbrook Museum. Outside the museum are a pair of CP "F" locomotives, as well as the former Elko railway station and a water tower. I wrote about those here. 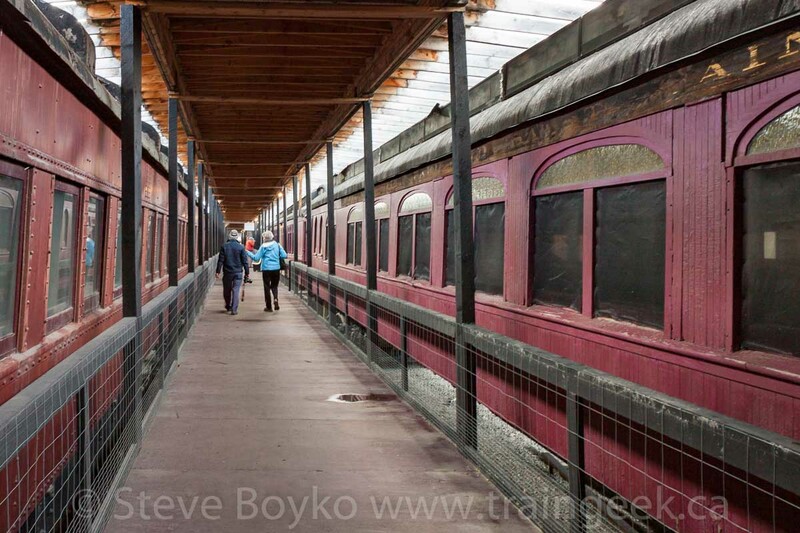 Views of the rail cars from the outside are very limited, due to the fencing around the site. I highly - highly - recommend visiting this museum. 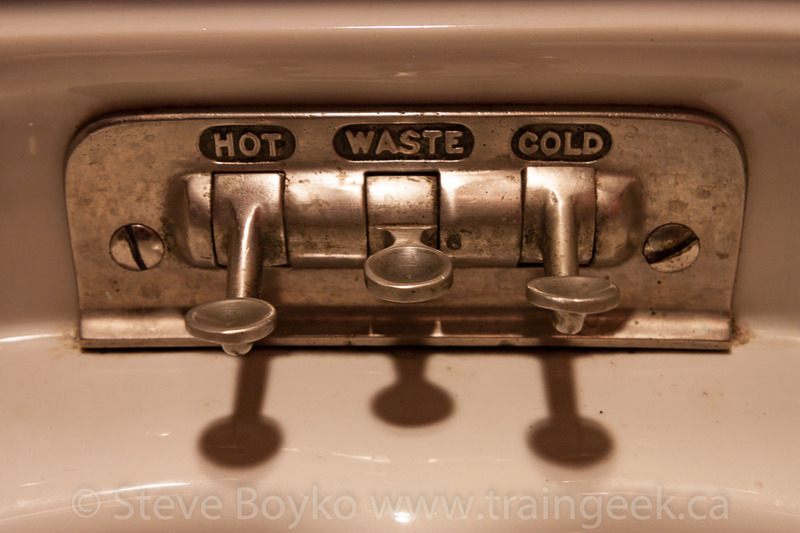 It is definitely one of the jewels of the Canadian railway museum scene. Here's a video I found showing some of the restoration work that has been done at the museum. These cars are just beautiful. That is awesome! I will check it out if I'm in that area for sure. If only I could back in time just to travel on one of those beautiful cars. I think you would have to be pretty well-off to pay for a trip on those cars, back in the day.. It's incredible to see the interiors of these cars captured in living colour with modern cameras. You see pictures in rail history books, but seeing them in this post really allows one to see just how much thought was put into rail travel prior to WWII. 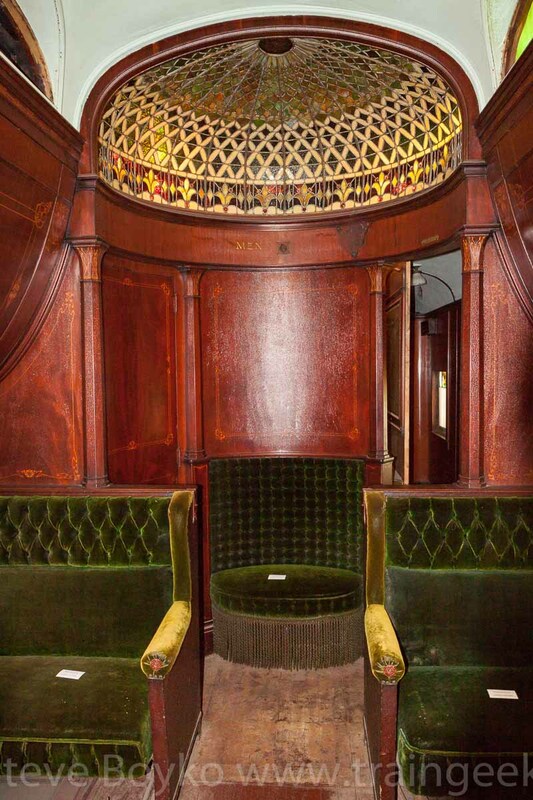 The solarium car, in particular, is amazing. Thanks for sharing these shots. I agree, Michael, colour photos really show how gorgeous these cars are, and how much detail is in them.